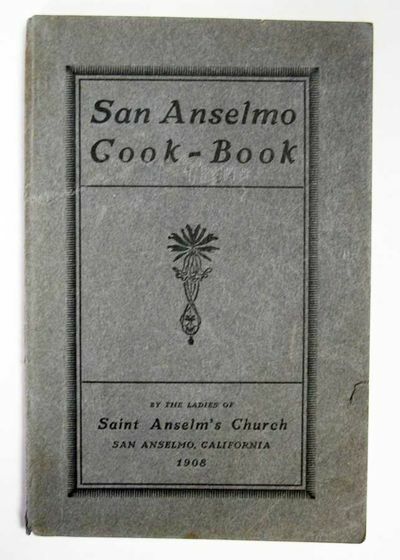 San Anselmo, CA: The Ladies of Saint Anselm's Church, 1908. 1st printing (Brown 84; Cook p. 31; Glozer 261). Grey printed paper wrappers. Light wear to wrappers (faint creasing to bottom front wrapper edge, light sunning to spine, & 1cm closed tear [no losses] to front wrapper edge). Ink rubbing to first page, otherwise clean. A VG example.. 168 pp. Advertisements throughout. 9-1/8" x 6"